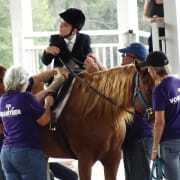 Needed - PATH Registered Instructor or equivalent training experience for non profit Therapeutic Riding Center in St. Cloud. Working with special needs children and adults with various disabilities. More opportunities with Healing Touch Therapeutic Riding Center, Inc.